Dr. John Salerno comes on Bulletproof Radio today to discuss holistic versus Western medicine, heavy metal exposure, ultra violet light and its benefits, and hacking your allergies. This is also discussed in his weight loss books The Silver Cloud Diet and Fight Fat With Fat. In this video, Dr. Salerno discusses the dangers of wearing make up on a regular basis. 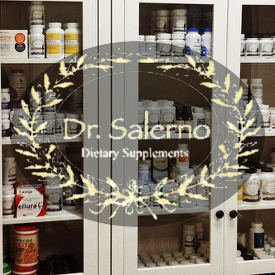 John Salerno, offers 31 different IV treatments that can contain vitamin C, zinc, calcium, copper and vitamin B-12. He said the cocktails can boost energy levels, and can help with anxiety and fatigue. “We can get the nutrients right into the bloodstream, bypasses the liver, so they are not metabolized,” Dr. Salerno said. Using an IV, patients can tolerate much higher doses then they could orally, Dr. Salerno said. Dr. John Salerno, was featured on the Fox Business News February 24, 2010. Dr. John Salerno, family practitioner at Patients Medical in New York, says doctors are hoping for some clarity with reform. Dr. John Salerno appearance December 24, 2009 on the show Fox & Friends with a panel of doctors discussing the sudden and unexpected death of actress Brittney Murphy.